Let your puss release his stress on the Morfe Scratching Post. Made with natural materials wound tightly around a strong column and base. Featuring a dangly feather and ball, your cat will be spoilt for choice as to whether he should scratch or play first! This scratching post is the perfect size for small cats and kittens. 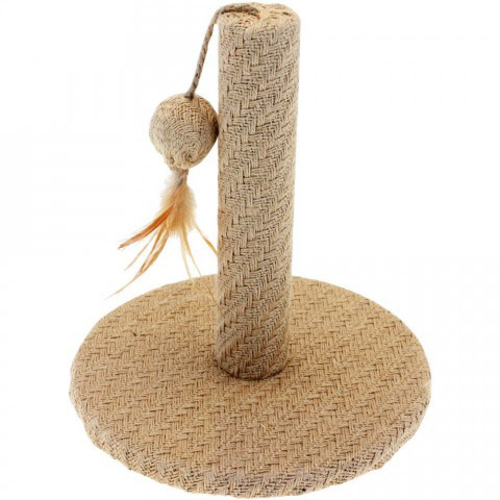 Why not make it your kittens’ first scratching post?